My son’s birthday is in December, so we have a double whammy of figuring out what to get him. Here are some great gift ideas for little boys that are sure to keep them busy and happy. There’s a reason LEGOs are a classic and are still so popular today! This Classic LEGOs Set is sure to be a hit! 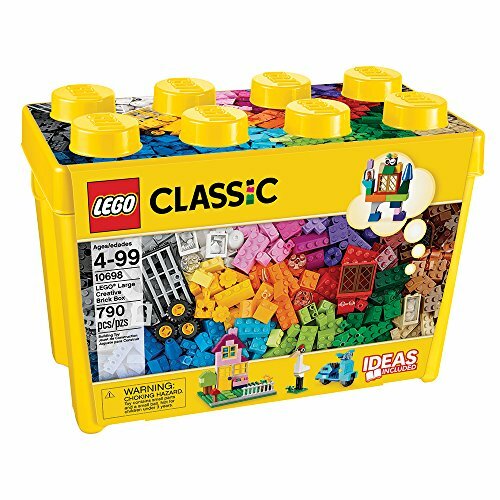 With as many different sets they have available, this original/classic box has large and small pieces that will be fun for the kids for a very long time! 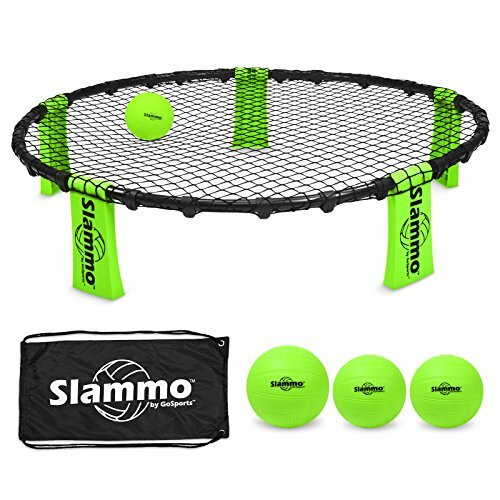 : While the Slammo Game Set isn’t likely something on their list, it’s definitely something they’ll LOVE! It’s sort of like ping-pong, but with this net board rather than a table. Loads of fun for everyone! The Magic Rainbow Puzzle Toy is a fun fidget toy for kids, and it’s under $10! 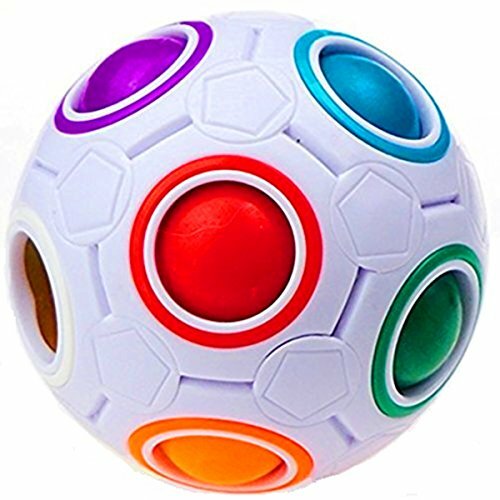 The objective with this mini rainbow ball toy is to get every colored ball back into it’s correct spot. 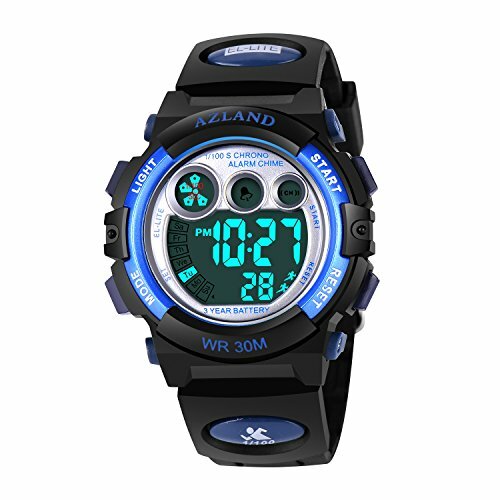 My son LOVES watches, and this Digital Watchis sure to please! When the kids are learning to tell time, getting them a watch they’ll love to wear is a rgeat way to help them learn quicker and more efficiently! It’s even waterproof! You may recall from my STEM Stocking Stuffers guide and my Ultimate STEM Gift Guide that we are fans of Rubik’s around here! 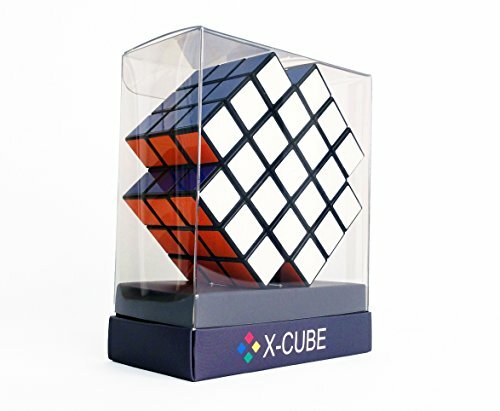 The X-Cube is a fun twist on the classic Rubik’s Cube and gets kids thinking by solving a fun (yet challenging!) puzzle. The Air Hogs Race Drone is safe and meant for kiddos. 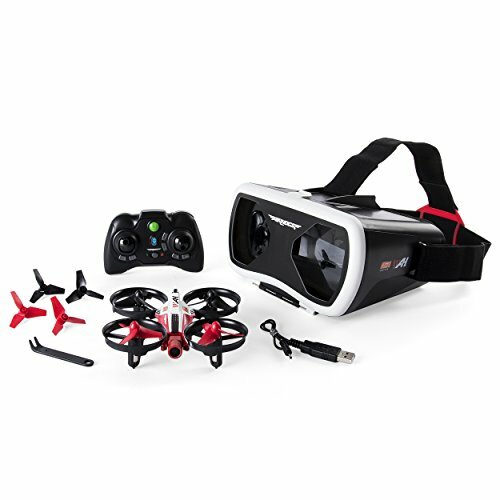 When the kids see older boys and even their dads enojoying the fun of a drone and want their own, this is the perfect find! It’s meant to seem like a super powerful drone, so they’ll love it! Kids want to know everything, so this 5,000 Awesome Facts Book is ideal. 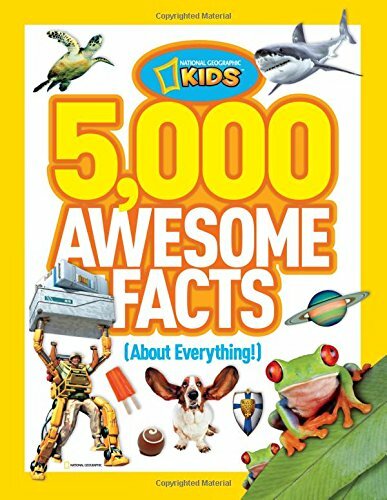 With 5,000 *truly* awesome facts about basically everything, they’ll be able to amaze their friends with the things they know! It’s VERY photo-friendly, so the kids can learn and enjoy reading through it at the same time. 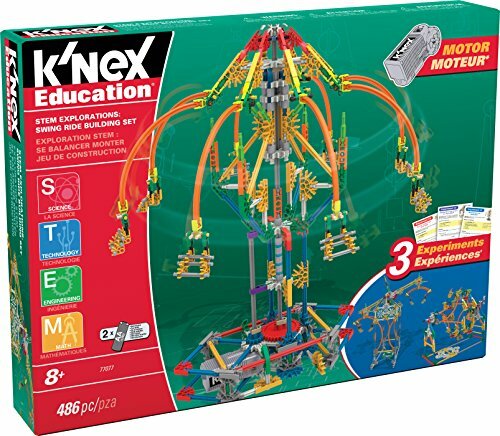 K’Nex makes great toys, and this STEM Swing Ride Building Set is no exception. This construction set allows kids to focus on how to build by following directions, and it’s a ton of fun while they use their brains at the same time. This Electronic Pitching Machine is for all of your little baseball/sports lovers. 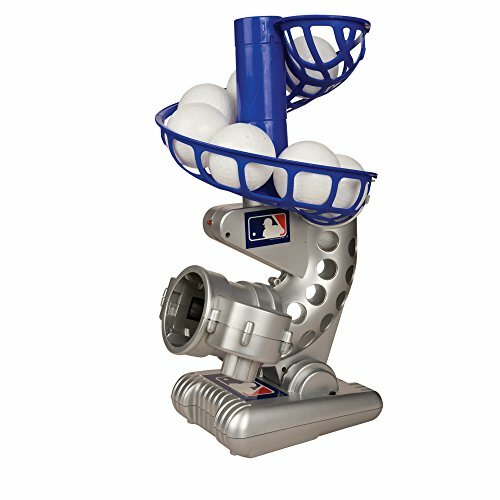 This mini pitching machine is a must! It’s an MLB-product and can be height-adjusted, so it’s great for a variety of ages. The kids can practice their swing and it’ll get them playing outside, so it’s a double win! Dude! 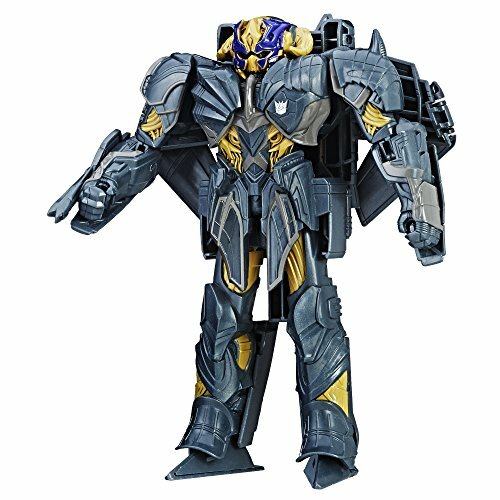 I love that Transformers have made a come-back, and this Transformers Action Figure of Megatrong, one of the coolest Transformers’ characters, will be a huge hit! It’s just under $30 and is an awesome looking action figure. What boy doesn’t like to launch things through the air? 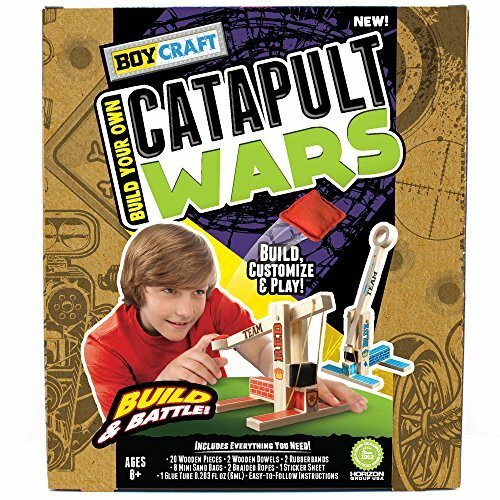 With Catapult Wars, kids can build their very own catapult with this set – it’ll be fun to build AND play with. 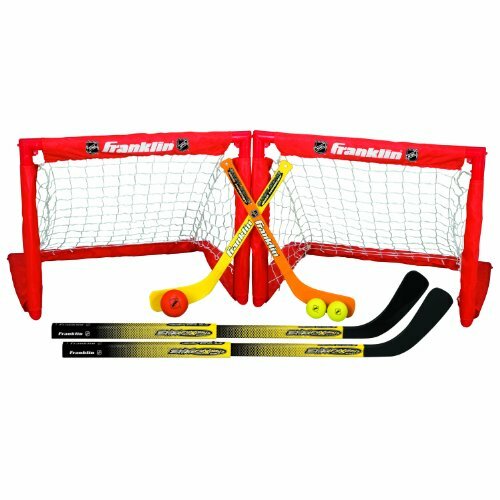 With this NHL Indoor Sport Set, kids can enjoy the sport even when it’s just too cold to be playing outside. This indoor hockey set is a great buy. The kids get antsy when they can’t run around outdoors, so this set will fit perfectly in your home and won’t make a huge mess – score! 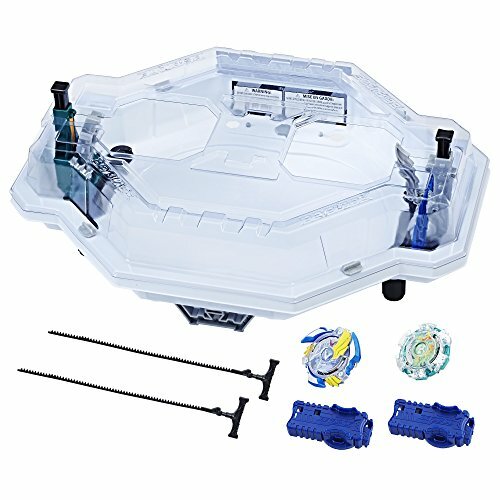 Boys who like to battle will love the Beyblade Burst Avatar Attack Set! Complete with the Beyblade Stadium, it will provide hours of entertainment. 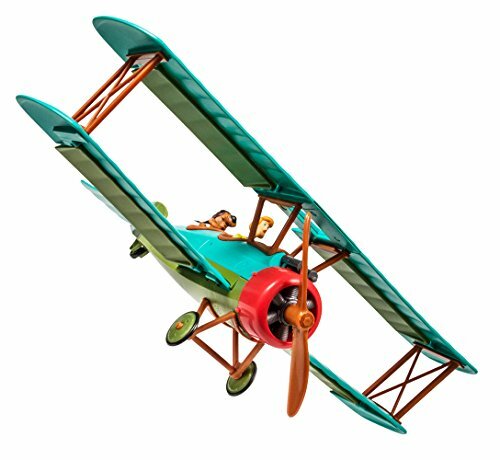 Building a bi-plane with Scooby is a passenger is sure to be loads of fun! This Revell Snaptite Scooby Plane kit includes Scooby Doo and Thelma, too and is under $20!